You will notice a slight drop in temperatures Monday compared to Sunday. Highs will only warm to the mid to upper 50s this afternoon. Some northerly winds to 15 mph will make those conditions feel even cooler. 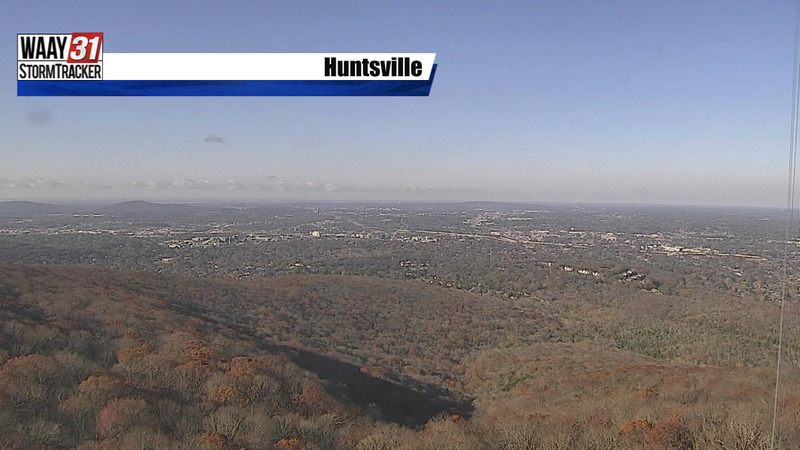 The Tennessee Valley will see lighter winds overnight tonight and into Tuesday morning. These lighter winds and clear skies may allow for parts of the Valley to drop to and below freezing. Be sure to take care of sensitive plants as you head to bed tonight. The next chance for showers will be late Wednesday night and into Thursday. Most forecast models keep this system weak with best chances of rain the further west you head Thursday. 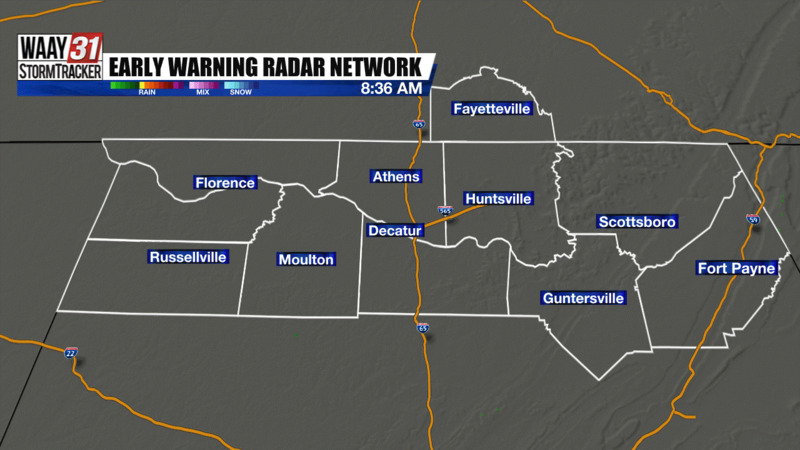 No severe weather is expected just some hit or miss showers. By Friday and into this weekend widespread 70s will be possible for afternoon highs with mostly sunny skies. We will need to watch a potential system early next week which could bring the next chance for thunderstorms to the WAAY-31 coverage area.